How Do I Buy a Golf Club Driver? Be patient and "test drive" several different drivers before making a final decision. Before you buy a driver, take a few out on the driving range to see how you do with them. The one you choose should inspire confidence, and you should like the look and feel of it, as well as the sound it makes when you strike the ball. Before making your selection, check out features of today’s drivers to make sure they are suitable for your golf game. Visit your golf retailer and ask to be tested for swing speed on a launch monitor. Once you find out if you have a fast, slow or moderate swing speed, you can determine which club characteristics are suited to your swing. Have your wrist-to-floor measurement taken. This, combined with your height, will determine if you can use a standard-length driver shaft or if you need to add or subtract a half inch or so. Examine the flexibility and materials of the shaft. A flexible graphite shaft can be more suitable for high-handicap golfers for distance, while the experienced player may want to go with a stiffer steel shaft for more accuracy. Check out the size of the club face, which is measured in cubic centimeters. A 460 cc club face is the largest that meets regulations. 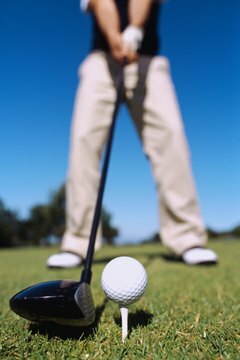 Beginners and high handicappers normally do better with a larger club face with a larger sweet spot. Try out drivers with different loft angles to see which loft works the best for you. A more advanced golfer may be able to handle a driver with a low loft of 9.5 degrees or less. A lower loft can add to distance on the tee shot. Look at drivers that are designed to address specific swing issues. Some drivers are constructed to prevent slices with a closed face and a contour designed to create a mental image of an inside-out swing. Other drivers have an aerodynamic sole for less drag and more distance, while drivers with a high MOI (Moment of Inertia) promote a stronger downswing speed.